The 2 unexpected strips of cool, platinum blonde in this model’s otherwise cheery and rich burgundy hair make a unique and stunning color combination. Scared of frying your hair with bleach? 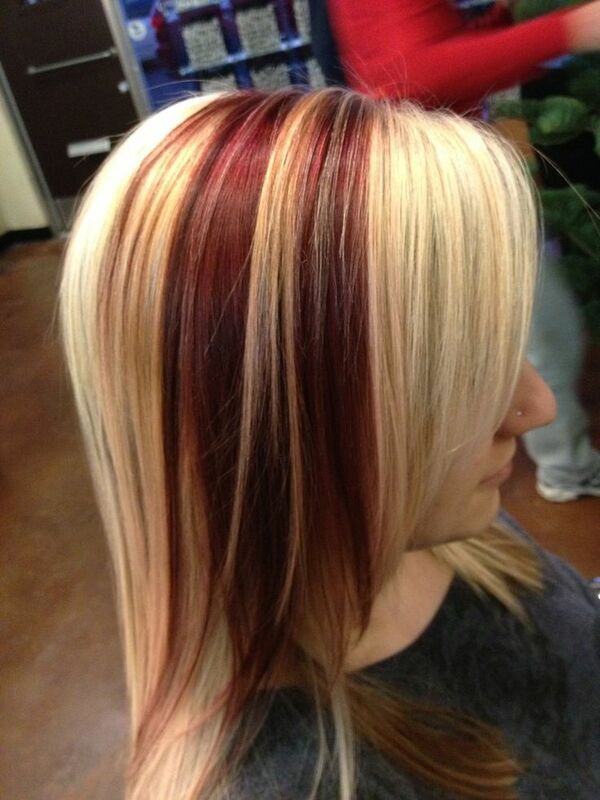 You are able to recreate this style having a single weft of platinum blonde extensions instead! Blend your two colors with bouncy waves so that you can best exhibit this peek-a-boo color.